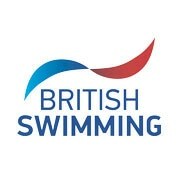 Harrogate District swimmer Joseph Moore took his second breaststroke gold medal of the 2017 Swim England National Summer Meet, winning the men’s 50m breaststroke on day four. Moore, who took gold in the 16 Yrs 100m Breast on opening night, was almost half a second under his personal best time. He touched in 31.06 to take the title. Moore said: “I just feel amazing, it’s my first nationals and I only did two events and I got a gold in both. Double gold. It’s unbelievable. Second place went to Barking and Dagenham’s Ali Cangir, who was just outside of his personal best time set in the heats. Cangir touched in 31.47 for silver. Joel Lange of Maindenhead completed the podium, taking bronze for his 31.50 effort. Eliza Powell of Bromley took the women’s 12/13yrs 50m Breaststroke title with a excellent win. The 13-year-old was competing in her first national competition, but powered through the field to claim gold with a time of 34.24. Hermione Roe of Bradford secured her second silver medal of the competition. Roe finished behind Imogen Lambert in the 100m Breaststroke, and reached the podium for a second time in the 50m. She touched in 34.41. Bronze went to Lambert of Flitwick for her 34.80 effort.